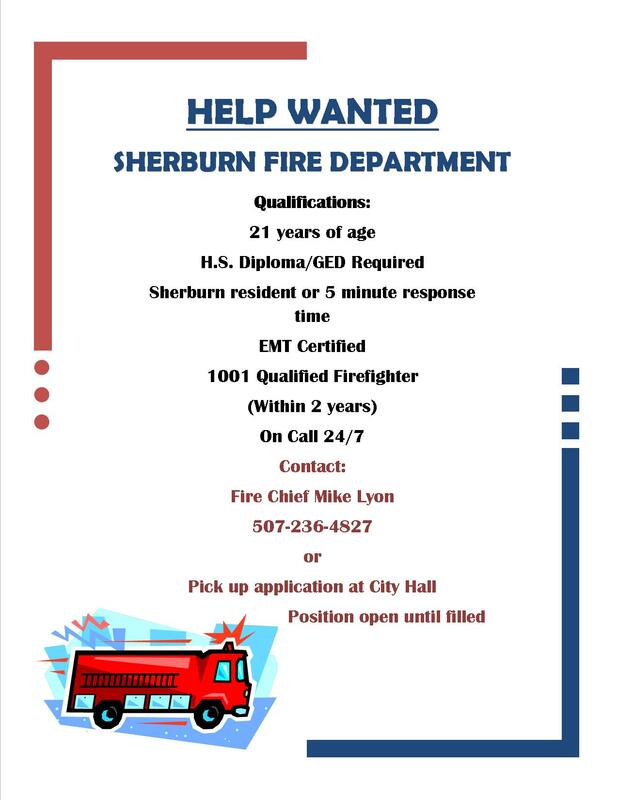 The Sherburn Volunteer Fire Department is a paid on-call fire and ambulance service. 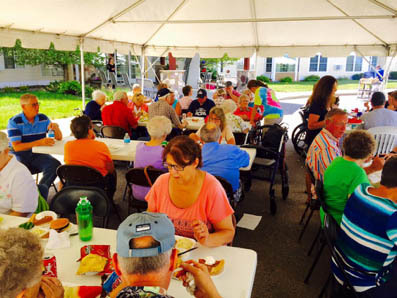 The Fire Department serves the City of Sherburn and the Townships of Elm Creek, Fox Lake, Jay, and Manyaska. Our ambulance serves over 180 square miles including Sherburn, Welcome, Ceylon, Dunnell, and the surrounding rural areas. A full roster consists of 25 men and women. The members are paid on-call, meaning they get paid for going on fire and ambulance calls and some training time. In addition, there is a pension offered. Please take some time now to save precious minutes in case of a fire. A few scoops of snow today could make all the difference later. Thank you for your cooperation!